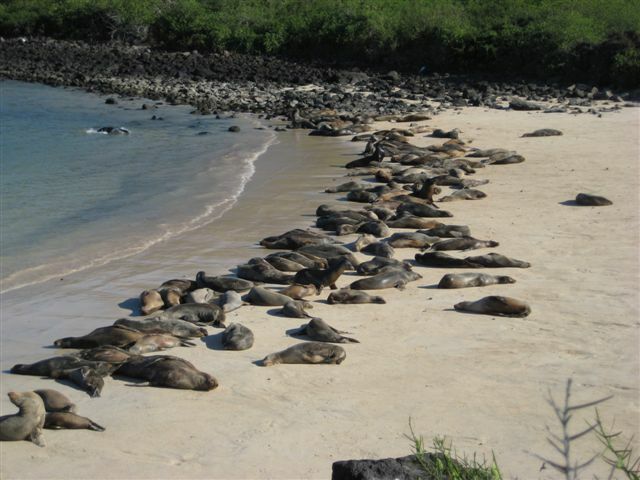 The rules and regulations are mandated by the Galapagos National Park Service, which is responsible for overseeing and protecting the Galapagos Marine Reserve and Land Reserve. 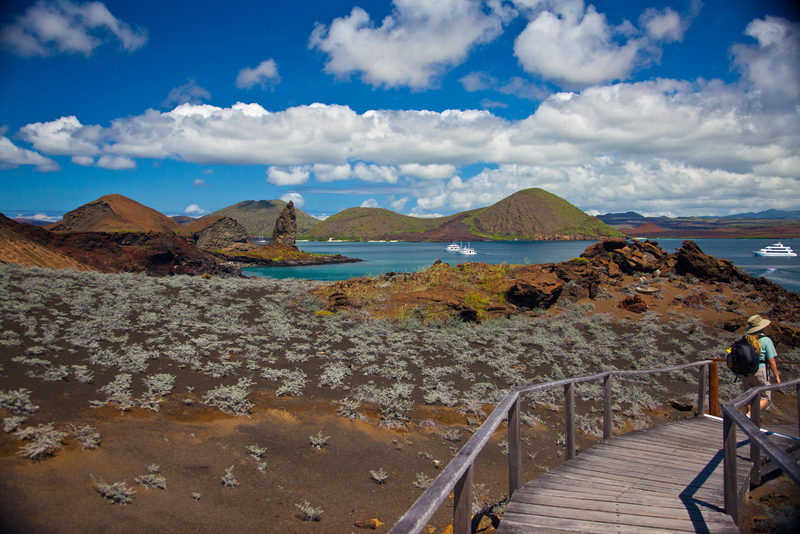 Since 1959, the Park Service, together with the Charles Darwin Research Foundation, has overseen the 1,714,000 acres of the Galapagos Islands. The Park Service monitors and controls visitor numbers as well as all Park sites throughout all of the Islands. The Park Service is responsible for the conservation of the ecological integrity and biodiversity of island and marine ecosystems of the protected areas of the archipelago, as well as the rational use of goods and services they generate for the community. All park rules and regulations have been developed in an effort to protect the area resources. There are certain places that visitors may go only with a Naturalist Guide. The Guide’s first obligation, other than protecting the safety of visitors, is to assure that visitors respect the natural environment. You may have visited places where rules are enforced by police and coast guards, intimidating presences made to instill fear. You've experienced museum guards who make you feel that if you get too close to a painting, the repercussions will be massive. That's not the Galapagos Islands. Here, our system is much more guest friendly. Although there are coast guard boats around, it's unlikely that you will even notice them. Instead, your certified guide is responsible for accompanying you and enforcing the rules through education and their watchful eyes. As a guide myself, I can tell you that having me maintain order is a lot more fun and educational than having an armed and uniformed guard watching every step you take. 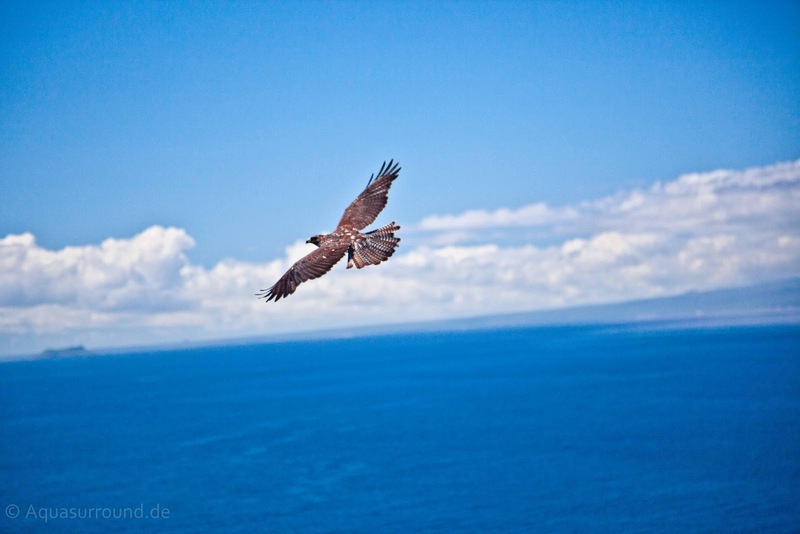 As a traveler to the Galapagos Islands, you will be mandated to follow these rules and your guide's first obligation is to assure that the land, sea and animals of the archipelago are conserved and preserved. Expect to be reminded of the rules repeatedly during your trip. No plant, animal, or remains of such (including shells, bones, and pieces of wood), or other natural objects shall be removed or disturbed. 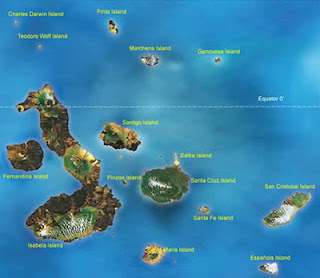 Do not take any food to the uninhabited islands. Do not feed the animals. It can be dangerous to you, and in the long run would destroy the animals' social structure and breeding habits. In my many years as a certified guide, I have seen many efforts by tourists to circumvent these regulations. Sometimes, the instinct has been innocent enough, But that is not always the case. And no transgression may be allowed to happen. For example, you might want to pick up a piece of wood or a dried flower or cactus. You could be tempted to pet the darling little sea lions pups. If you walk on the unmonitored portions of a beach front, you may destroy Galapagos Tortoise nests and eggs or Iguana burrows. If you touch a sea lion pup he will take on your scent, his mother will reject him and he will die from starvation. Tourists have fed food to the mockingbirds at Gardner Bay, thus unnaturally changing the behavior of this important endemic species. Heavy fines may be levied against anyone not in compliance with these laws. Suitcases may be checked at airports before visitors leave the Islands. There are ramifications for not following the rules, which are taken very seriously. The waters surrounding the Galapagos are home to 3000 species of marine plants and animals. Diving in the Galapagos is quickly expanding; divers seek the experience of spectacular marine life including Whale Sharks, Galapagos Sharks, hammerheads, manta rays and leopard rays. However, the delicate balance has been tainted by the influx of tourism and of fishermen. It was fundamental that the reserve needed to be regulated and protected. 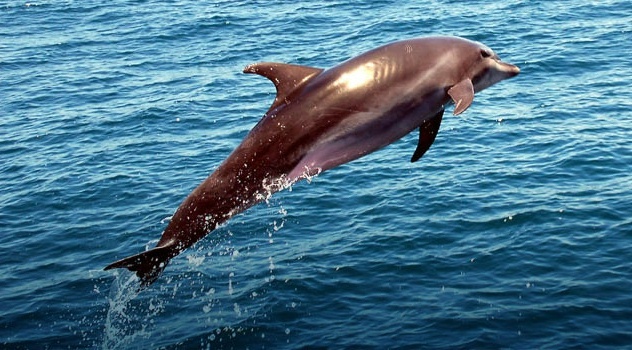 It was not until 1997 that real changes to preservation of the marine environment were imposed. All of the local sectors (fishing, tourism and conservation) have been brought together to negotiate protecting these resources. Establishment of a multi-sector management board consisting of the Galapagos National Park Service and the users of the Galapagos Marine Reserve. 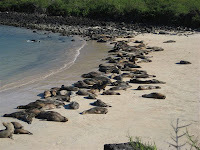 As I've said, the Galapagos Naturalist Guides are the eyes and ears of the Directorate at the Galapagos National Park. Each and every group of tourists to any protected area within the Islands must be accompanied by a guide who has been accredited by the National Park Service. It is a long process, including classroom and practical training, to become a Naturalist Guide. Throughout the archipelago, there are fewer than 400 certified Naturalist Guides; fewer are active. The Guides represent the Galapagos National Park Service and are a critical part of supporting the integrated management of marine and terrestrial island ecosystems. They are charged to monitor, protect and conserve the natural resources of the archipelago. All of the guides are in love with the islands. I myself am a third generation resident here and I want this land to be preserved for my children and their children. Every guide treats the land, animals, flora and marine life here with respect and an eye for conserving the past and preserving for the future. We want you to have fun and be awed as we inform and educate you about the natural history and conservation of the Galapagos Island's land and marine systems. At the same time, we will ensure that no one contravenes the rules and regulations of the Nature Conservancy. The single most important role of the Naturalist is to assure that each tourist has a memorable and satisfying experience without negatively affecting the natural order. All guides are trained and prepared to lead groups of visitors, consisting of 16 tourists, in addition to complying with and enforcing the established rules. The training and promotion of naturalist guides is undertaken by the National Park Service in conjunction with the support of technical and scientific staff of the Charles Darwin Foundation, along with the country's Universities and Technical Institute. Visitors to the Galapagos Islands have the time of their lives, come away with life-long memorable experiences and feel that they have been changed in some way by being in touch with our beautiful paradise and environment. The systematic rules and regulations are meant not to restrict, but to improve, each person's experience. Visitors who learn about and take pains to care for and understand this sensitive and delicate eco-system on the land and in the ocean will enhance their immersion into their surroundings and gain a huge sense of appreciation of not only the Galapagos Islands, but also, all of our planet Earth.